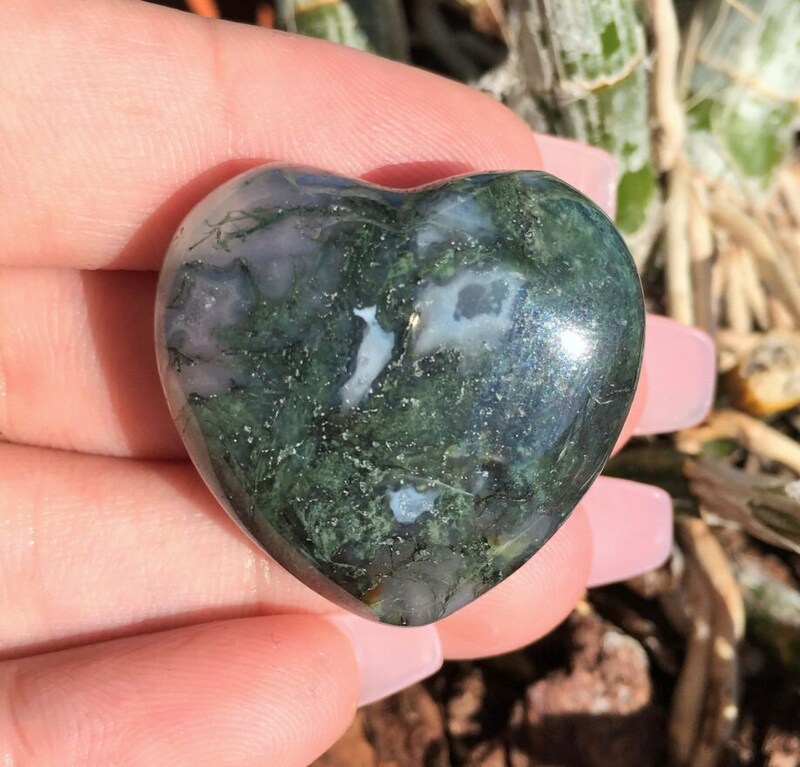 This Green Agate polished heart has gorgeous shade of green. What I love about this heart is that when you look within. 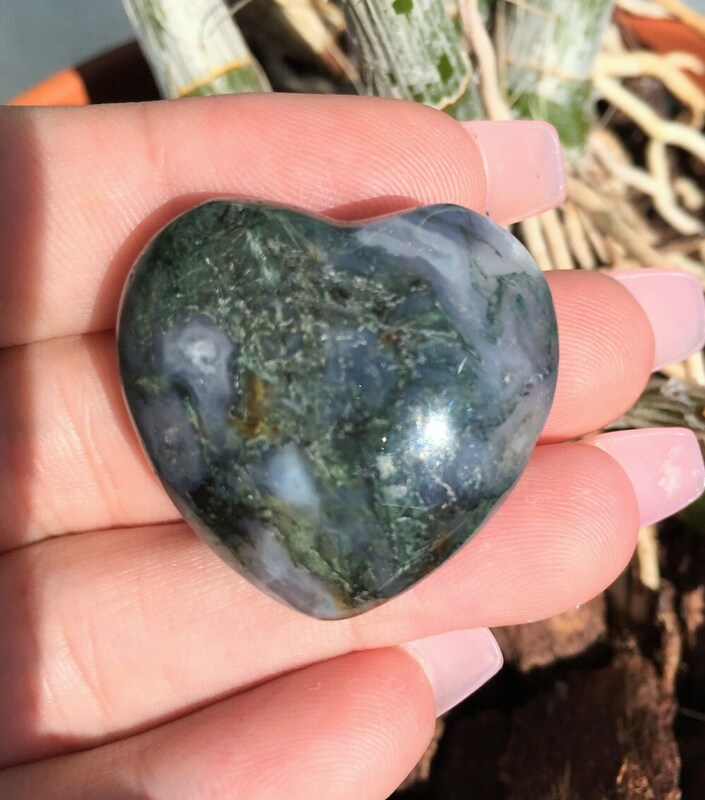 This heart almost looks like an aquarium of moss with visible spots of clear quartz growth within- a real beauty! They are beautiful and showed up safe and packed well. Both have a different personality to them. I will be ordering from here again!! Thank you thank you! !